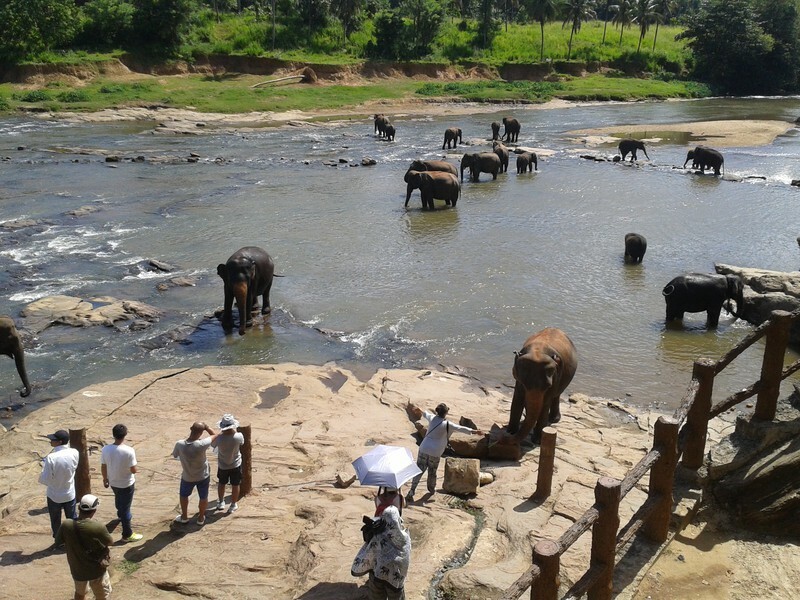 Established 1975, the Pinnawela elephant orphanage houses the largest herd of captive elephants in the world. Here about eighty elephants are well looked after, which have been found throughout the country abandoned by their herd and brought to here. You can watch milk feeding for baby jumbos and the daily bath in the nearby Maha Oya river of Pinnawala.